As per terms of employment, generally, an employee is granted certain period of leave(s) on yearly basis. Such leave(s) may be casual leaves, medical leaves and privileged leaves or earned leaves. Generally, an employee can accumulates his medical leaves and privileged leaves and can avail such leaves in subsequent years as per his necessity. However, in some cases, an employee can even encash his accumulated privileged/earned leaves and can get salary for the said period of leave. Such receipt of salary by an employee from his employer in lieu of his accumulated leaves is called “Leave Encashment”. Such encashment can be done by an employee either during the service or at the time of leaving job due to retirement or any other reason. However, in case of death of an employee, the salary for his/her accumulated leave is given to his/her legal heirs. (A) Leave Encashment during service. Any encashment of leaves by an employee during continuance of service is “fully taxable” for all employees whether government employees or non- government employees. Such encashment may either be of current year leaves or of past accumulated leaves. It is taxable as salary income of the employee for the previous year in which amount is received by employee. (BI) For Government Employees [Section 10(10AA)(i)]. Any payment received as leave encashment at the time of retirement or on leaving job otherwise shall be “Fully Exempt” u/s 10(10AA)(i). Note : Employees of Local Authority, Statutory Corporation and Public Sector Undertakings are not regarded as Government Employees for this purpose. (BII) For Non-Government Employees [Section 10(10AA)(ii)]. 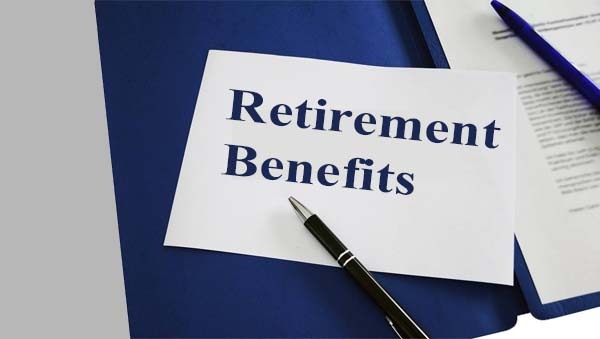 Any payment received as leave encashment at the time of retirement or on leaving job otherwise shall be exempt upto the least of following amounts Under Section 10 (10AA)(ii). C. Leave Encashment after Death. In case the amount of leave encashment is given to legal heirs of deceased employee, it will be Fully Exempt. Meaning of Non-Government Employees. Non-government employees includes all employees other than employees of Central Government and State Government. Calculation of Average Salary of 10 months. Average salary of 10 months is to be calculated on the basis of the average salary drawn by the employee during the period of 10 months immediately preceeding his retirement whether on superannuation or otherwise. Example 2 : If employee retires on December 15, 2013 then average salary of 10 months will be calculated by taking salary drawn during the period March 16, 2013 to December 15, 2013. Meaning of Approved Period of Leave : Approved Period of Leave = 30 days/ 1 month leave for every completed year of service. Note. Service period in fraction of the year (whatsoever it may be) shall be ignored, i.e., shall not be taken into consideration while calculating total approved period of leave on the basis of service period. While calculating exemption, the maximum notified limit of Rs. 3,00,000 shall be applicable and he shall be granted exemption as per the least of 4 limits. While calculating exemption in respect of leave encashment on subsequent occasions, the maximum notified exemption limit shall be reduced by the exemption claimed in the past. Receipt of leave encashment simultaneously from two or more employers in same P.Y. In such a case, the maximum exemption in respect of leave encashment received from all the employers cannot exceed the maximum notified limit of Rs. 3,00,000. Relief u/s 89(1). In respect of taxable leave encashment included in salary income of any previous year, the employee is entitled to claim relief u/s 89(1).